to the great lineage holders throughout the history of Mindrolling. 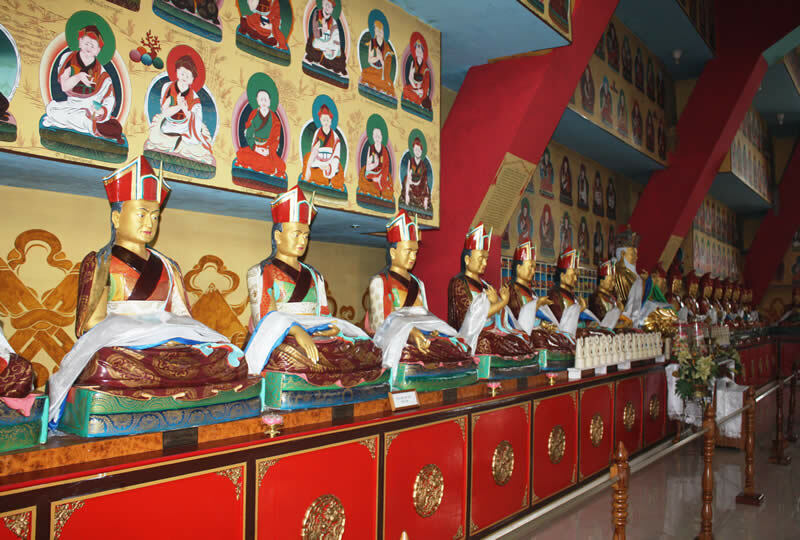 Within it are murals and statues depicting the descendants of the dharma king Terdag Lingpa (Rigzin Jurme Dorje) the Trichens and Khenchens of Mindrolling. In addition to this are the paintings of precious lineage masters of the Pratimoksha, Bodhisattvayana and Vajrayana.